The opening Juz of the Qur’an, comprising of the ‘Mother of the Book’, Surah al Fatihah and the longest surah in the Qur’an, Surah al Baqarah, Juz 1 is a constant reminder for the people that Allah alone is worthy of all worship and we undoubtedly turn to Him alone for what we seek. Following a strong reminder, Allah tells us the story of Adam and his expulsion from Jannah, the Children of Israel (the Jews) and the sacred mosque. 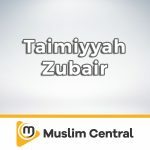 Join Taimiyyah Zubair as she explains this remarkable Juz in brief, while focussing on the lessons that can be drawn from these major incidents. Discover more series by Taimiyyah Zubair.